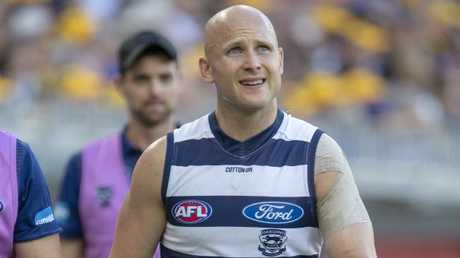 GEELONG has not put a timeline on a return date for superstar Gary Ablett after scans revealed he has strained his right hamstring. The Cats confirmed on Tuesday that Ablett would miss at least a few weeks after suffering the injury in the final term of the loss to West Coast on Sunday. 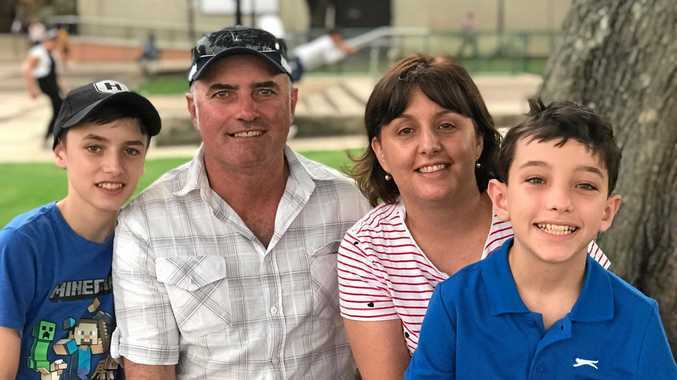 But the club won't speculate on when it expects Ablett to return, declaring it is "taking the view that each player can heal at a different rate." Ablett said he would endeavour to return as soon as possible. "The scans are as expected and I will be out for a few weeks with a hamstring strain," he said. "I will do everything I can to rehab the injury and get back out there. "Obviously it is disappointing to miss playing the next few games with the team, but it is a long season and we are all positive that this will be a minor setback." It is the second hamstring injury Ablett has suffered this year, having missed the Cats' two pre-season clash with the injury. The Cats were left counting the cost of their second loss of the season, with Cam Guthrie (ankle) and Nakia Cockatoo (knee) also injured. They join defenders Harry Taylor (foot) and Lachie Henderson (knee) on the sidelines.